We do not yet have a separate entity for search strategies, but we have one in the pipeline. Until we do however, you can much of the same functionality by using a manual reference as a search strategy. 1. 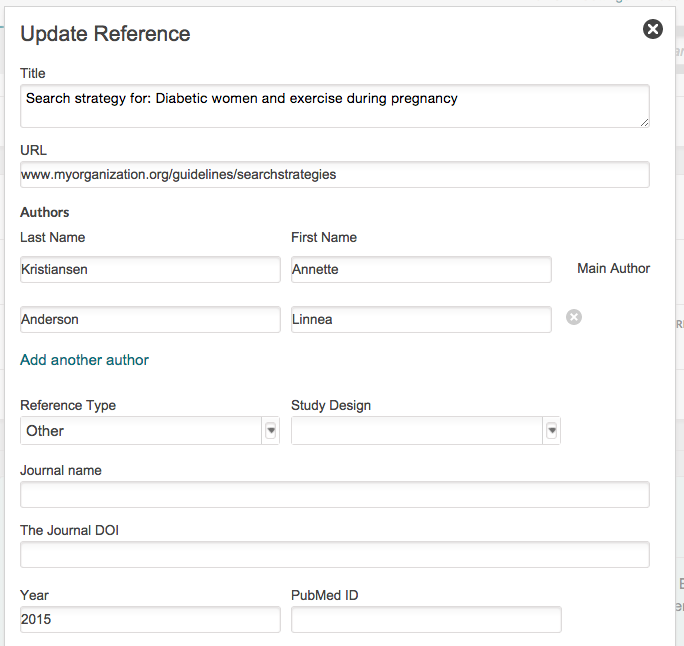 You can name it however you want under tiltle: one option would be to start title with: "Search strategy for..."
- we suggest you set the reference type to "Other", to separate it from Primary studies and systematic reviews.